Everyone deserves to let loose on vacation. At Iberostar Hotels & Resorts, it’s easier than ever. Couples and friends can dine at exquisite restaurants, relax at the beach or catch an exciting show, while kids and families enjoy unique activities, water parks and kids clubs. Delta Vacations gives you more ways to rack up miles, and earn toward your Medallion® Status. SkyMiles® Members earn 3,000 bonus miles per person, in addition to credited flight miles, with a flight and Iberostar Hotels & Resorts package. 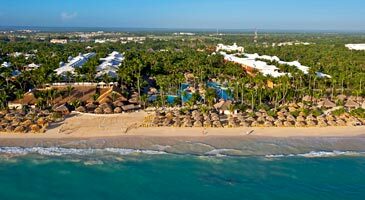 *Sample Pricing: This offer is available from hundreds of origin cities, but this price, which reflects the offer, is based on travel between Atlanta and Punta Cana, staying at Iberostar Dominicana. Price is per person, based on double occupancy and select Tuesday departures and Sunday returns, July 16 – 21, 2019, and is subject to change. Additional restrictions and baggage charges may apply. See Terms and Conditions for details. This program — exclusive to Delta Vacations — is provided at no additional cost with your vacation package, when you stay at Iberostar Bávaro, Iberostar Cancún, Iberostar Paraíso Maya, Iberostar Playa Mita and Iberostar Rose Hall Suites. Room upgrades: Iberostar Grand Paraíso — Upgrade from a Suite to a Surperior Suite, a Superior Suite to a Pool View Suite or a Pool View Suite to an Ocean View Suite; Iberostar Grand Bávaro — Upgrade from a Suite to a Garden Lake View Suite or a Garden Lake View Suite to an Ocean View Suite; Iberostar Grand Paraíso — Upgrade from a Suite to an Ocean View Suite or an Ocean View Suite to an Ocean Front Suite. Offer valid for new bookings only. 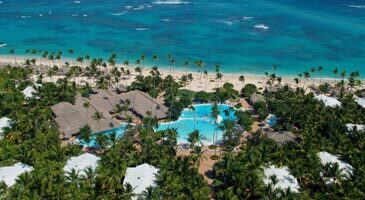 *Price is per person, based on double occupancy at Iberostar Dominicana, between Atlanta and Punta Cana. Tuesday departures and Sunday returns via nonstop service on Delta and certain Delta codeshare partners, and is valid for specific travel dates July 16 – 21, 2019. Advance purchase requirements vary. Other travel days and dates and accommodations are available at other prices. May require travel on specific flights or times; blackout dates may apply. 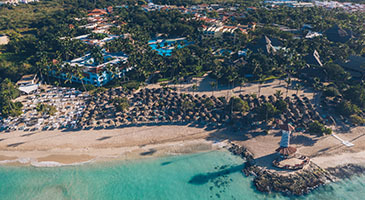 Purchase any Delta Vacations flight and Iberostar Hotels & Resorts package from any Delta Vacations origin in the U.S. or Canada to Mexico, the Dominican Republic or Jamaica, April 1, 2019 – May 15, 2019, for travel April 1 – December 31, 2019. At time of reservation, you must refer to promotional code DV32759. Participating hotels include: Mexico: Cancun — Iberostar Cancún and Iberostar Cancun Star Prestige; Cozumel — Iberostar Cozumel; Riviera Maya — Iberostar Grand Paraíso, Iberostar Paraíso Beach, Iberostar Paraíso Lindo, Iberostar Paraíso Maya and Iberostar Quetzal; Riviera Nayarit — Iberostar Playa Mita. 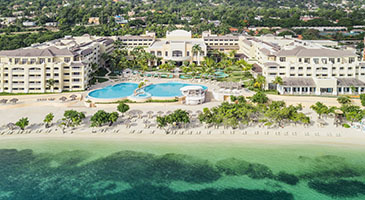 Dominican Republic: La Romana — Iberostar Hacienda Dominicus; Puerto Plata — Iberostar Costa Dorada; Punta Cana — Iberostar Bávaro, Iberostar Dominicana, Iberostar Grand Hotel Bávaro and Iberostar Punta Cana. 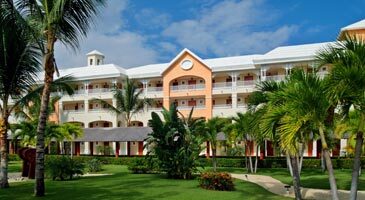 Jamaica: Montego Bay — Iberostar Grand Hotel Rose Hall, Iberostar Rose Hall Beach and Iberostar Rose Hall Suites. Minimum package purchase of $1,200 per booking is required. Package purchase includes flight and hotel; or flight, hotel and car rental, plus any optional activities. Discount is $35 off bookings of $1,200-$3,499; $100 off bookings of $3,500-$5,999; and $200 off bookings of $6,000 or more. Enter promotional code DV32759 in the Promo Code/eCertificate box on the Booking page. One child, 12 years old or younger, stays and eats free when sharing a room with two paying adults. 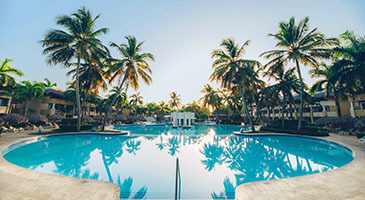 Offer valid at: Iberostar Rose Hall Beach, Iberostar Bavaro, Iberostar Dominicana, Iberostar Punta Cana, Iberostar Costa Dorado and Iberostar Hacienda Dominicus. Book anytime, for travel May 1 – October 31, 2019.